In this paper we use the Gibbs sampling algorithm to present a Bayesian analysis to multiplicative double seasonal autoregressive (DSAR) models, considering both estimation and prediction problems. Assuming the model errors are normally distributed and using natural conjugate and g priors on the initial values and model parameters, we show that the conditional posterior distributions of the model parameters and variance are multivariate normal and inverse gamma respectively, and the conditional predictive distribution of the future observations is a multivariate normal. Using these closed-form conditional posterior and predictive distributions, we apply the Gibbs sampling to approximate empirically the marginal posterior and predictive distributions, enabling us easily to carry out multiple-step ahead predictions. The proposed Bayesian method is evaluated using simulation study and real-world time series dataset. Amin, A. (2017a). Bayesian Inference for Double SARMA Models. Communications in Statistics: Theory and Methods. https://doi.org/10.1080/03610926.2017.1390132. Amin, A. (2018a). Bayesian Identification of Double Seasonal Autoregressive Time Series Models. Communications in Statistics: Simulation and Computation, https://doi.org/10.1080/03610918.2018.1458130. Amin, A. (2018b). Kullback-Leibler Divergence to Evaluate Posterior Sensitivity to Different Priors for Autoregressive Time Series Models. 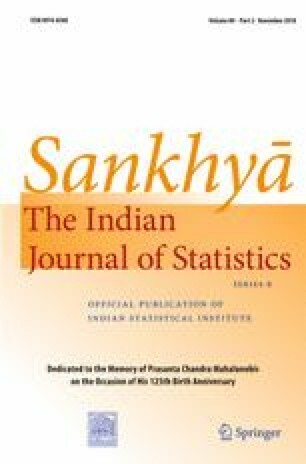 Communications in Statistics: Simulation and Computation, https://doi.org/10.1080/03610918.2017.1410709.